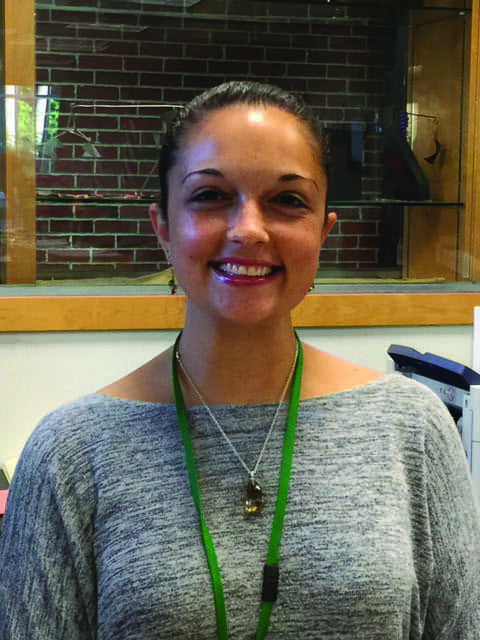 There are a number of new faces among the BEHS faculty this year, and the general theme among them is that they are ready and eager to educate Bonny Eagle students. 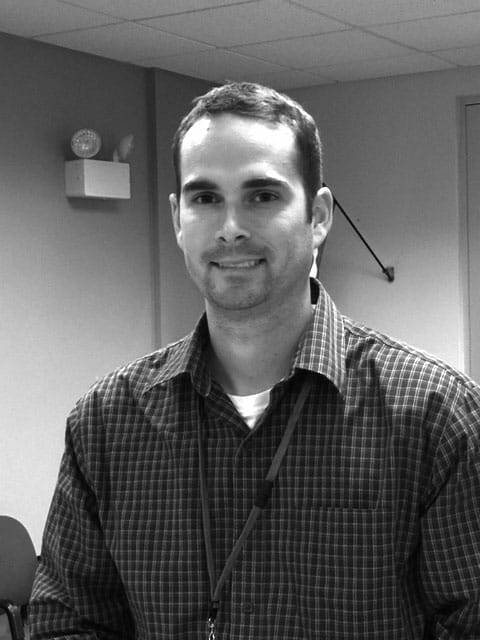 Mr. John Pelletier, a new social studies teacher, is from Westport, Massachusetts and graduated from Salve Regina University in Newport, Rhode Island. He previously taught at Tiverton High School in Rhode Island before coming to Bonny Eagle. Mr. Pelletier has taught high school students before, and was also a professional tennis instructor for the past 10 years. He always knew he wanted to be in education, whether teaching in the classroom or coaching on the tennis court. Mr. Pelletier says the most rewarding thing about teaching is building relationships with the students and watching students succeed, not only in his classroom but later in life after they have graduated. His goal for this school year is to become involved with extracurricular activities at school and learn what it truly means to be a Scot. Mr. Pelletier says the hardest thing about being a teacher is that you can never leave the mindset of an educator. In every situation, inside and outside the classroom, he is always looking to better every situation by learning the best possible way to educate and achieve that goal. “A teacher never stops being a teacher,” he says. 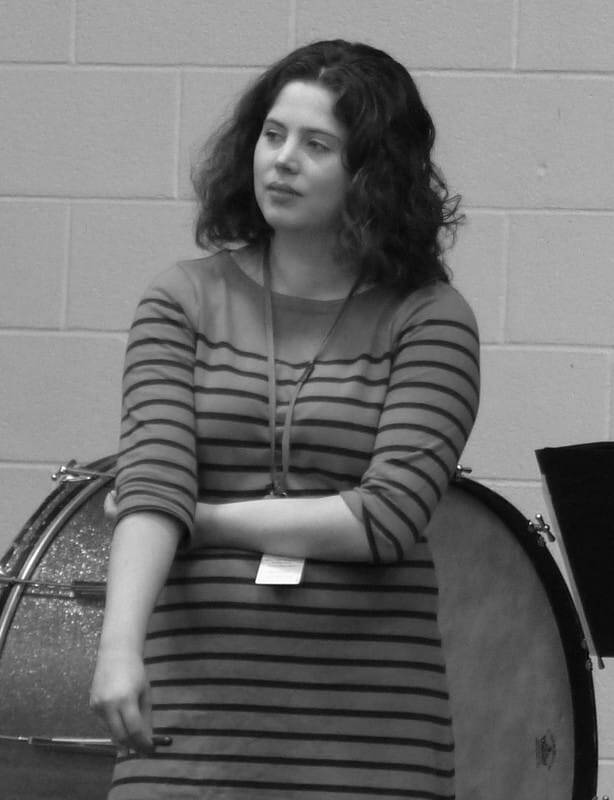 Miss Laura Manduca is the new band teacher at BEHS. She was born in Monmouth and went to college at the University of Southern Maine in Gorham. She got into music because her grandfather played in an orchestra. Her parents played in a marching band when they were younger, so she wanted to play, taking up the clarinet in fourth grade. Miss Manduca taught junior high and high school in Madison, Wisconsin, before coming to BEHS. Her experiences there made it easy for her to teach the high school band here. She finds the school very friendly and kind, and said she always sees smiles when she walks into the school. She says the most rewarding thing about teaching is when she sees a student happy after they complete a hard song. Her goals for the school year are to create a positive team of musicians that work together. The hardest thing about her job, she says, is remembering the names of all her students. If she weren’t teaching band, Miss Manduca would be an English teacher or something that would involve writing. 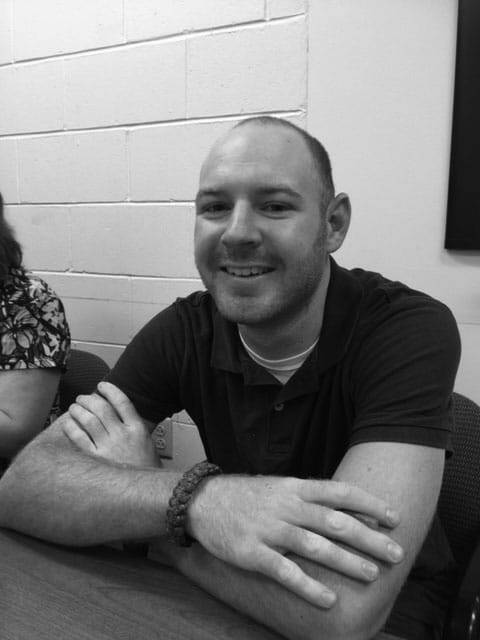 Mr. Cole Phillips, a graduate of the University of Maine in Farmington, knew that teaching was for him around the age of 16. 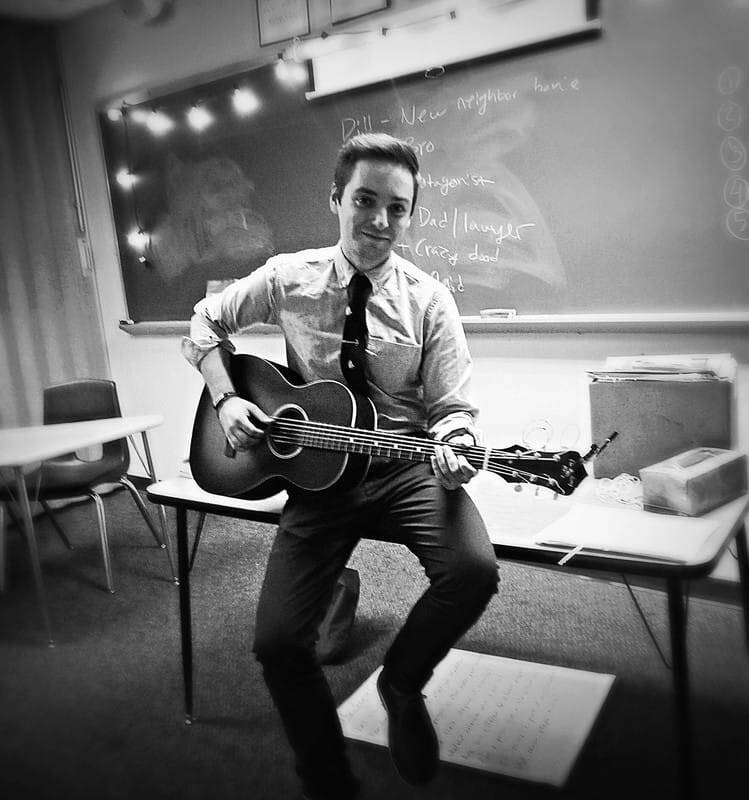 He wanted to be a high school teacher because when he was a student, he felt as though no one was there for him, and he wanted to be there for students. Mr. Phillips was a long-term substitute, teaching sophomore English last spring. He was hired over the summer to teach freshmen. His favorite part of his job is getting to have discussions with kids every day about their lives. Mr. Philips also likes to play the guitar and write songs. He even had a song in the show Teen Mom. He likes to go hiking, play tennis, and watch football. So far, Mr. Phillips loves working at Bonny Eagle. Ms. Elizabeth Mazzarese teaches Spanish 2 and 3. She’s from New York and graduated from Binghamton University. She taught last year at a middle school in New York, where she’s from. She has taught at both middle school and high school levels. “After my interview here, I felt that the environment was positive. I was looking for an opportunity to teach at a high school." Ms. Mazzarese describes her style of teaching as warm and respectful toward students, emphasizing an independent study and partner work, and giving students basic information they need to let them practice. “My ideal classroom would be a place where students can learn independently and learn from each other,” she says. Philosophically, she believes parent-teacher conferences are an important part of the education process. She says that our district seems to be one that focuses on changes and moving forward. Mr. Ryan Danley teaches business education and accounting. He is originally from Dayton, Maine and received his degree from the University of Southern Maine. He was an EdTech at Saco Middle School before coming to Bonny Eagle. Mr. Danley says the most rewarding thing about teaching is having an impact on a student's life and feeling like you're truly making a difference. His goals for the school year are to survive his first year as a teacher and to get to know the culture at BEHS, as well as the student body. Mr. Danley says the hardest thing about his job is trying to prepare and plan for the unknown. There is a lot to know and do outside of just teaching students. Mr. George Deans knows that “math is like a visit to the dentist for most kids.” His goal for the school year is to turn math into something less scary for his freshmen students. 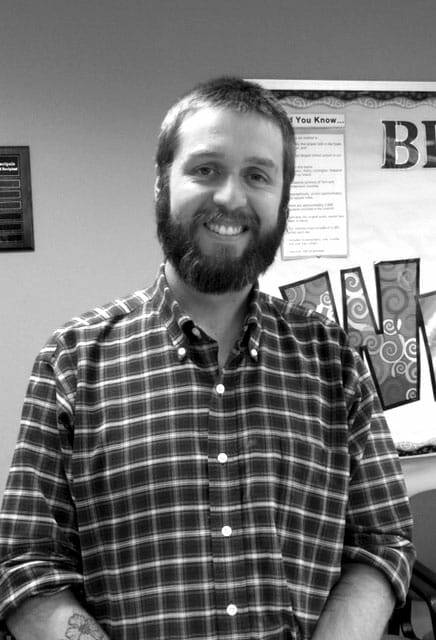 Mr. Deans joined Bonny Eagle’s staff this year as a freshman Algebra teacher. So far, he thinks Bonny Eagle is “fantastic” and that kids and staff are great. Before working as a teacher, Mr. Deans worked a crazy number of jobs, such as a milkman, a forklift driver, a leatherworker, and a stonemason. He likes being a teacher but he doesn’t like teaching in front of the whole class because it’s hard to know if what he’s saying and demonstrating is being understood. Mr. Deans says the hardest thing about his job is staying organized because he considers himself a very disorganized person. One of Mr. Deans’ students, Kylie Hawks, says that when Mr. Deans is teaching, he explains the problems a lot more for the people who are having trouble with it and works at your pace when you are struggling. ​ “He stops to help you when you’re having trouble with a problem,” she says. 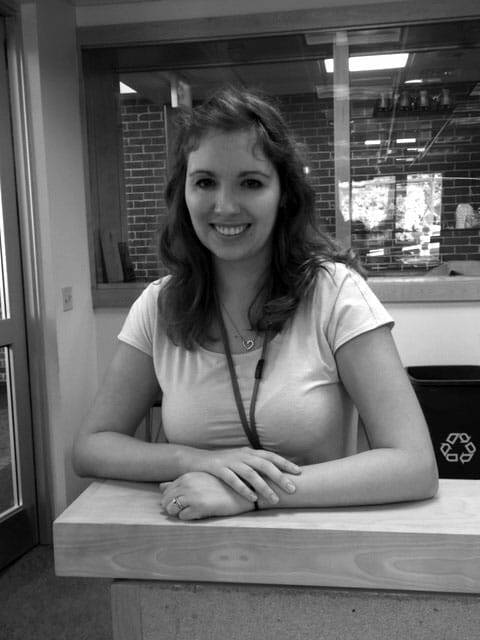 This is Ms. Kelsey Dolan’s first year as a teacher. Before coming to Bonny Eagle she was a college student at St. Joe’s here in Standish. She also used to be a substitute teacher and tutor in the neighboring school district,” she said. Ms. Dolan’s first impression of BE was very positive. Her goals for this year include getting as involved as possible here at Bonny Eagle and helping students be successful learners, and, hopefully, develop a love for the study of history! Ms. Dolan’s favorite classes in highs school were history, of course. Though she had never heard of our Global Village course before, “I am really enjoying getting to know the course as well as teaching it,” she said. ​ When she is not teaching, Ms. Dolan loves being outdoors, going to the beach and to the lake, as well as traveling and shopping! Before she came to BEHS, Mrs. Marissa Thiele taught at Lisbon High School and Lisbon Middle School. She wanted to teach at BE because she had heard so many great things about the district. “My mother-in-law works here at the high school, and my sister-in-law works at the middle school, so I was able to learn about the culture of Bonny Eagle from them,” she said. Mrs. Thiele grew up in Bangor and went to Bangor High School. She went to the University of Southern Maine and studied in Santiago de Compostela, Spain, for a summer. Mrs. Thiele is married and has “two wonderful kids currently in second and fifth grade. They are the loves of my life,” she says. Mrs. Katrina Webster started her career as a guidance counselor after she went to Liberty University in Virginia. She then went to the University of Maine in Orono to get her Masters degree in school counseling. Mrs. Webster decided to pursue a career in guidance because her dad was also a guidance counselor. Before coming to Bonny Eagle, Mrs. Webster worked in sales and in management. She also has been a nanny, a non-profit marketer, and a guidance counselor in an adult education program. 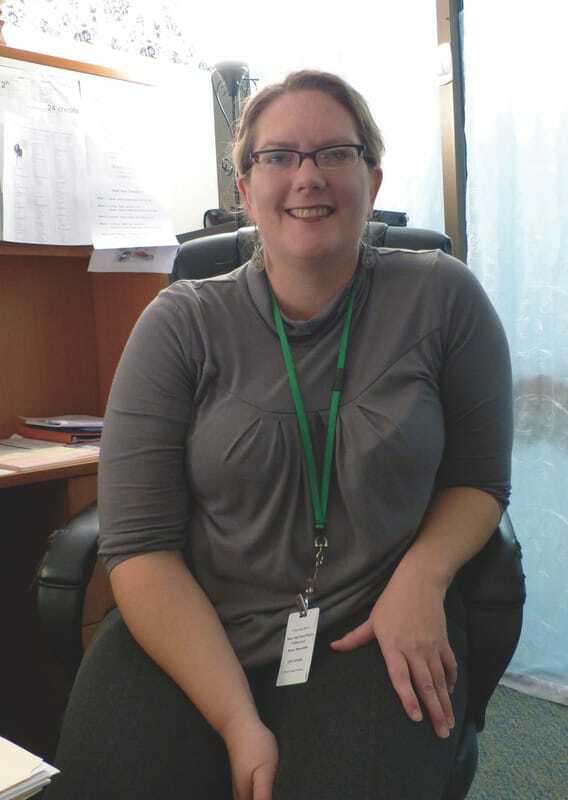 Mrs. Webster says that having a job in the real world is helpful when talking to kids about life after high school, and working in adult education helped her realize just how important a high school education is. Mrs. Webster’s impression of Bonny Eagle so far is positive. She says the administrators, teachers, and students have all been very nice. ​ If Mrs. Webster was not working as a guidance counselor she would work for Myers Briggs, which is a personality testing program. Mrs. Webster loves helping groups of people have a better understanding of each other and work together as a team. New to the math department this year is Mrs. Anne French, teacher of FST, Algebra II, and Geometry. Mrs. French is a Standish resident who came to work at Bonny Eagle through connections she had with other teachers. Her own children are BEHS graduates. While Mrs. French asserts that she enjoys working with students and helping them understand math, she admits she was nervous at the beginning of the school year because Bonny Eagle is a such a big school. Students in her class can expect to leave prepared for further mathematics courses.